When your dishwasher makes weird noises, you can examine the machine to see what might be going wrong. While some noises may be caused by improper loading, a noisy dishwasher may be a sign of more serious problems. Various dishwasher parts can be checked, one at a time, to determine what is causing the weird noises. Also, noticing weird noises at a particular time during the dishwasher cycle can clue you in to the source of the problem. Improper loading can cause dishwasher noise. Check to see that your dishes are properly loaded in the dishwasher. Double-check the instruction manual to compare your loading to the recommended way to load the dishwasher. Make sure that you are using the proper amount of dish washing detergent for the hardness of your water. If you don't know how hard your water is, ask your water supplier for assistance. Make sure that your dishwasher is level. Examine the feet by making sure they are screwed in tight. Examine the area around and inside the pump, which is located inside the dishwasher, on the bottom. You will need to remove the bottom dish rack and spray arms to do this. Make sure there are no utensils, bones or bits of food stuck in this area,. Remove any particles that you find. If your dishwasher makes weird noises, such as rattling, during the filling cycle, you may need to replace your inlet valve. You should ask a professional to help you with this replacement. A noisy motor can indicate worn bearings or broken motor parts. If your spin seal is broken, replace the seal to prevent the bearings from getting wet and wearing out further. If this doesn't fix the problem, you may have to replace your motor, with the help of a professional. If you notice weird noises during the drying cycle, your heater fan or fan blades may need replacement. These noises are often caused by rusted, worn heater bearings or a loose fan blade. Before examining problems, unplug your dishwasher or use your circuit breaker to turn off its power source. 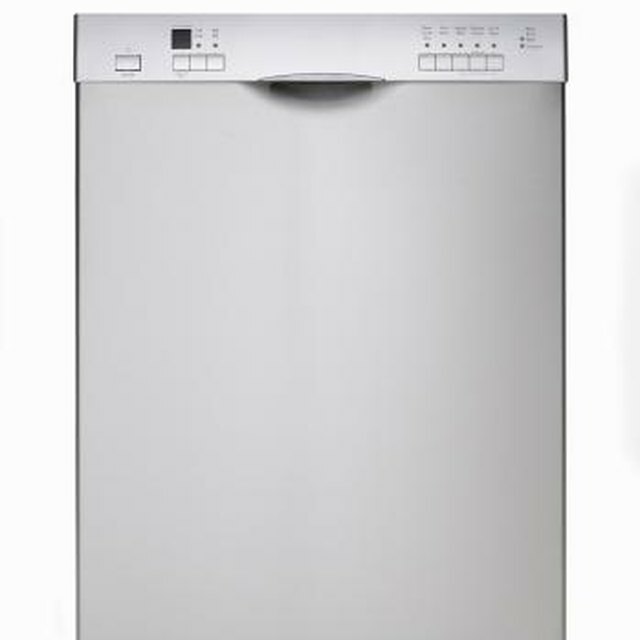 Turn off the water supply valve that routes to the dishwasher before working on the dishwasher's water supply. Don't work on your dishwasher immediately following a wash cycle. Wait for the machine to cool off first.